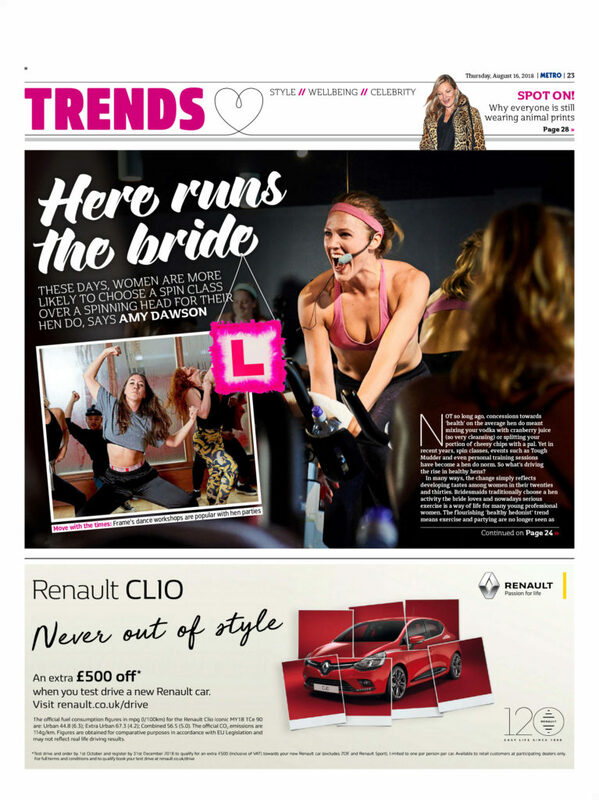 These days, women are more likely to choose a spin class over a spinning head for their hen do, says Amy Dawson. NOT so long ago, concessions towards ‘health’ on the average hen do meant mixing your vodka with cranberry juice (so very cleansing) or splitting your portion of cheesy chips with a pal. 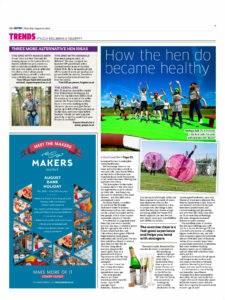 Yet in recent years, spin classes, events such as Tough Mudder and even personal training sessions have become a hen do norm. So what’s driving the rise in healthy hens? In many ways, the change simply reflects developing tastes among women in their twenties and thirties. Bridesmaids traditionally choose a hen activity the bride loves and nowadays serious exercise is a way of life for many young professional women. The flourishing ‘healthy hedonist’ trend means exercise and partying are no longer seen as incompatible but as endorphin-raising bedfellows. For Shara Tochia, co-author of new book The Healthy Hedonist’s Guide To London (whateveryourdose.com), exercise can be a great ice-breaker within hen groups, which often contain unfamiliar clusters of friends. Gym chain Frame has been doing ‘alternative hen parties’ since it opened nine years ago. The traditionally debauched hen can also be tricky to navigate for the increasing number of people who don’t drink or drink only in moderation. More than a quarter of under-25s are non-drinkers, according to the Office For National Statistics. The spiralling costs of modern hen dos and weddings may well also be a factor. An average UK hen costs £434 per person, according to figures from Hotels.com, and this rises to nearly a grand for weekends abroad. With that kind of financial outlay, it’s no wonder many hens are no longer interested in spending half their weekend drinking mystery punch out of fishbowls, and the other half with their head down a toilet.